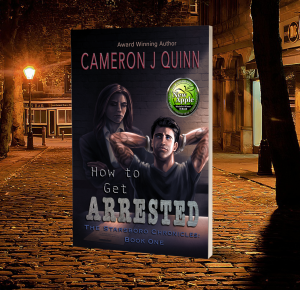 Cameron J Quinn brings in her new paranormal romance series with a bang in Salem Witch. Millicent Lucas is getting used to life after her husband’s death. Life in the colonies is not for the faint of heart and with a teenage daughter to prepare for the world and marriage, she has little time for her own loneliness. As a witch during the height of the witch hysteria overseas, keeping herself and her daughter safe from Salem’s Puritans is her foremost concern. The coven has more in store for Milli and her daughter Grace, however. When Kanti, the Womponoag woman who married into the coven, asks them to help save her daughter’s life, the coven sends her away and makes it clear no one is to help her. 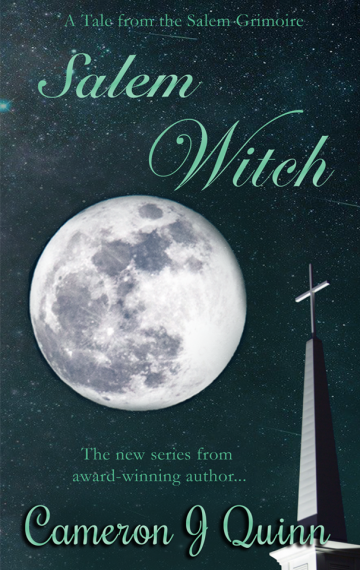 But Milli owes Kanti more than the coven knows–and more than she can ignore. Roger Blacklok is the son of a witch living among the people of Salem Village. He keeps clear of the coven and all their laws–the same laws that forced him out of his mother’s arms at the tender age of four. That is until a chance meeting in the woods with a certain witch haunts his every waking moment. Millicent is like a drug he can’t fight, no matter how hard he tries. Or how much he knows better. When Milli goes against the coven, she brings the dangerous witch hysteria to America’s shores, and Roger is the only person she can turn to for help. Little does she know, his help will cost her, her heart. Cameron J Quinn brings the world of 1692 Massachusetts to life in this first installment of her paranormal romance series, Tales From the Salem Grimoire. The love story of Robert and Milli is woven into an epic adventure full of tough decisions and horrible consequences.